SAL DeTRAGLIA'S VIRTUAL TAPAS BAR: AN OPEN LETTER TO MY FINNISH READERS. I was walking down Paseo Castellano in Madrid last Thursday, when I noticed the bar pictured above. 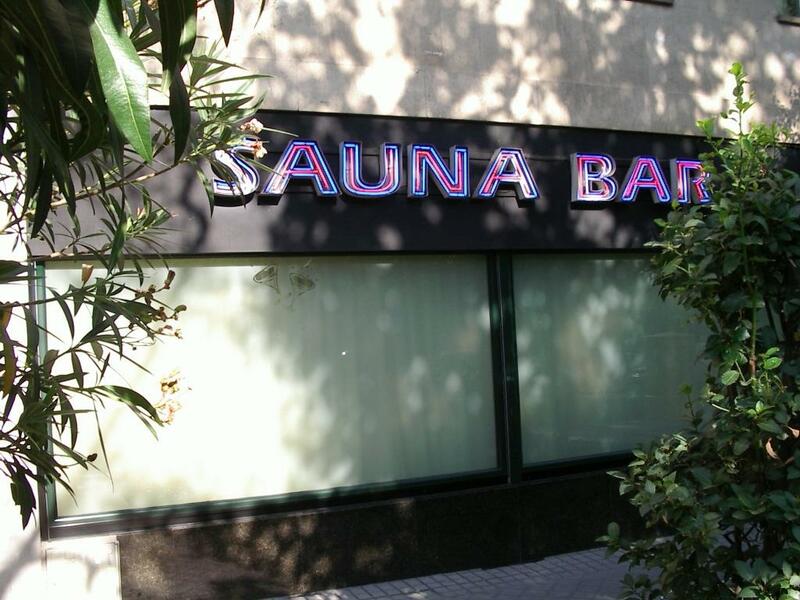 Now, I have no idea what a “Sauna Bar” is, but I resisted the urge to go in and investigate for fear that my father-in-law might be walking by when exited. I’m therefore hoping that one of my Finnish readers (Jussi? Hanna?) might shed some light on this mystery. Call me cynical, but I strongly suspect that the only sweaty, towel-wrapped bodies to be found in this bar are those of the waitresses. That's a massage parlor, that is, a whorehouse. A massage parlor is a dangerous place, Sal. Maybe I should go in first and check it out for you, just to be safe. I'll get back to you in, say, 3 days? Franje, the best idea is that his father in law goes first and see what is going on inside. I had assumed that the streets of Madrid have been unusually empty because of July/August vacations. 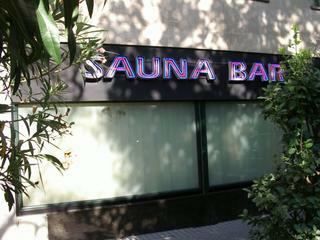 I'm beginning to suspect, however, that everyone is in the Sauna Bar.